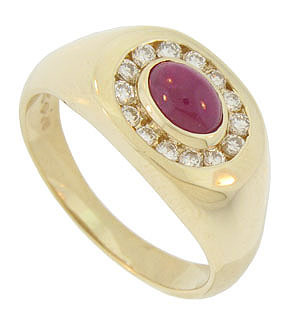 An oval cabuchon ruby is bezel set in the center of this 14k yellow gold estate mens ring. 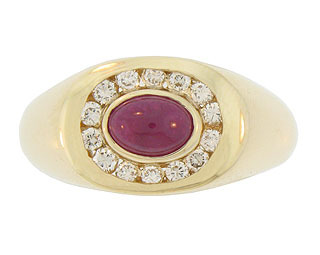 A frame of channel set diamonds encircles the handsome ruby. 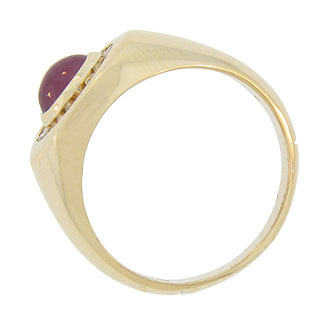 This handsome ring measures 10.87 mm in width. Circa: 1960. 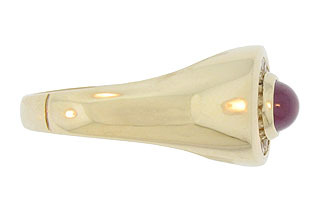 Size 8 3/4. We can re-size.